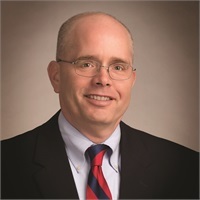 Skip Jarvis began his career in the financial services industry when he joined MassMutual Northern New England, now Commonwealth Financial Group, in May of 2000. Prior to joining Commonwealth Financial Group (CFG), Skip managed a local retail store for 13 years. Skip is committed to providing holistic financial planning to individuals, families, and business owners. With 18+ years in the industry, he has the experience to provide the guidance his clients need to help them achieve their financial goals and maximize their financial potential. In 2018, Skip became a Certified Family Business Specialist. At CFG, Skip has access to an extensive team of financial professionals, including design center, business planning specialists, estate planning attorney and CPAs. This team-based approach results in a comprehensive strategy that is tailored specifically to each individual client. Skip is originally from East Lyme, Connecticut and moved to New Hampshire in 1982. He has been married to his wife, Avonne, for over 25 years and they have four children, Patrick, Kendra, Kara and Isaac. In his spare time, he enjoys spending time with his family, volunteering with his church, being involved with his children’s sports, and playing golf.